Childhood is a fun and carefree time, without the worries and responsibilities of adulthood—or at least, that’s how adults like to think of it. While it’s true there are many worries and responsibilities that children don’t have to deal with, they have plenty of their own challenges. More than that, some “adult” issues and pains may not be as exclusive to adulthood as some people think. That’s certainly the case with juvenile or pediatric bunions. Bunions in children aren’t as common as in adults, but they can happen. Pediatric bunions are a lot like their adult counterparts: the great toe joint slides out of alignment where the base of the toe and 1st metatarsal meet. This bulging joint can be quite painful for kids and make some shoes and activities uncomfortable. So how did your child end up with a pediatric bunion? For most children, bunions are genetically inherited. Bunions may run in your family, or your child may have inherited a flat foot which can make a bunion deformity worse and lead to further complications. 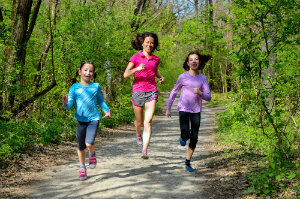 The good news for your child is that pediatric bunions are definitely treatable. Conservative care is usually best for feet that haven’t finished growing. In cases where conservative care isn’t enough, though, surgery is possible. They key is determining what will best benefit your child’s unique feet. Our premier bunion specialists are here to help your family get the best possible bunion care at any and every age. Contact Dallas Podiatry Works for more information or to make an appointment to check out your child’s bunion today. Just use our website or call us: (972) 566-7474 for Dallas, or (972) 943-3323 for Plano.